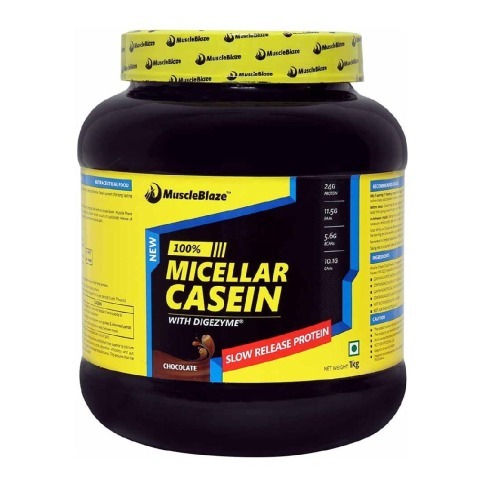 Micellar casein is an in-between meal and night time protein. Reduces muscle breakdown during inactivity period. 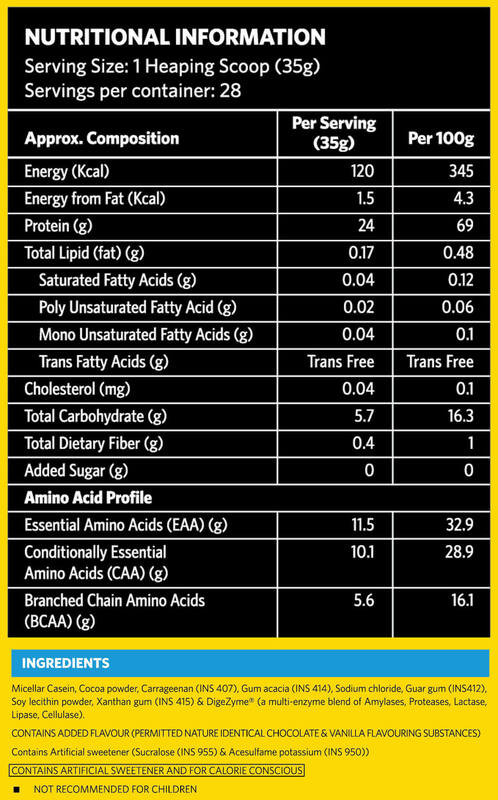 MuscleBlaze casein is a slow digesting protein, which gives a sustained release of amino acids for upto 7 hours. Mix one scoop (35g) of powder in 300-350ml of powder for best results. To Recieve updates and possible rewards for MuscleBlaze 100% Micellar Casein please sign in. To Recieve updates and possible rewards for Diet Supplement please sign in.